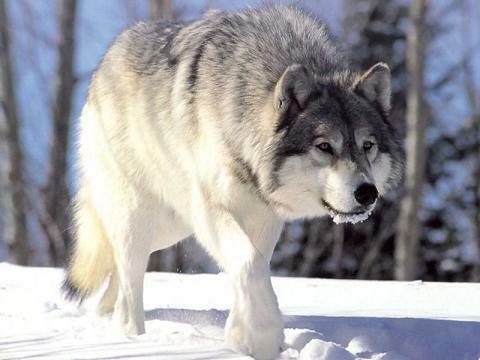 In the late 1800s right through the early 1900s aggressive hunting, particularly by ranchers, farmers and government bounty programs, resulting in the near extinction of the Gray Wolf in Washington state. By 1930 they had been wiped out of the entire Northwestern United States. In 1973 the Gray Wolf was among the endangered species and protected by the Federal government. However in the 90s Gray Wolves were reintroduced to Yellowstone National Park, and due to a combination of changing attitudes about wolves and nature's incredible will to survive wolves are making a comeback all over the western United States and here in Washington. Gray wolves have returned to Washington via both British Columbia and Idaho and in 2008, the Lookout Pack established Washington's first healthy wolf pack to return to the state. Since that time there are currently five known packs, three successful breeding pairs and by best count 27 wolves in the state of Washington. Small numbers to be sure, but a start. If you're interested in learning more about wolf populations and how you might get involved in the Gray Wolf's recovery in Washington state, check out Conservation Northwest. It's a great organization and we happen to know that the good folks at Terra Blanca on Red Mountain are big supporters of Conservation Northwest. This week's Friday Find is certainly wolf themed, and it's a serious bargain. From Lobo Hills, a Seattle winery. By wolf themed I simply mean that lobo means wolf in Spanish and that Tony the winemaker and proprietor of Lobo Hills had a dog named Lobo. So there you go, I need a story folks. The real story here is the wine. 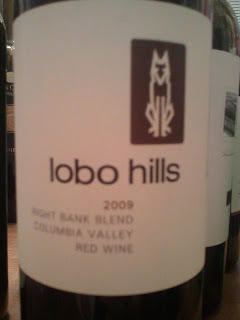 I tasted the Lobo Hills among several bottles of some of the best red blends in the state and at the time was unaware of the price, but probably would have pegged in the $27 or $30 neighborhood. It's only $17. When I was in Pike & Western Wine Shop on Memorial Day they were hand-selling this wine like crazy. I must have watched them sell eight bottles of the stuff inside of 30 minutes, citing what a nice guy the winemaker is and that the wine is simply a steal. Well, I've yet to meet Tony but the wine is just that. The Lobo Hills 09 Right Bank Blend delivers a lot of structure and serious wine for the dollar. As opposed to a fruit forward, oak heavy comfortable wine typically found at this price you get dried fig and herbal aromatics. A thinking man's or woman's bargain wine. The palate comes through with dark black fruit, loads of structure, herbal elements, and minerality. A very nice wine for pairing with a hearty meal or to contemplate the fate of Washington's recovering Gray Wolves.